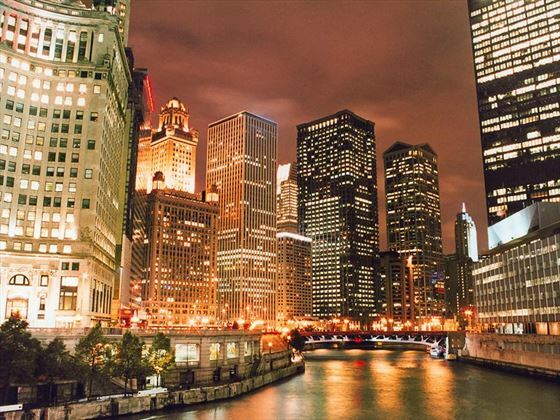 This is a fabulous circular itinerary, starting and ending in Chicago, and taking in the very best music cities of America plus sites recognisable from popular movies. 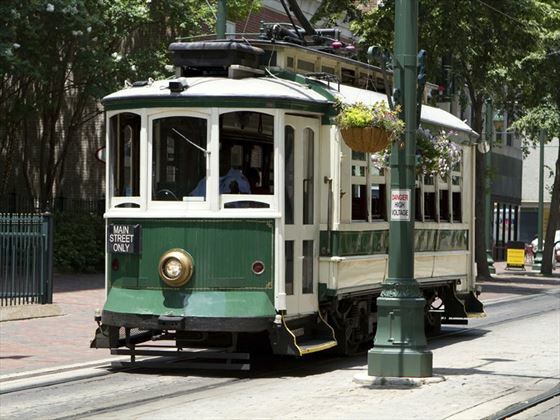 Your first stop will be St Louis, where you can ride the tram to the famous St Louis Arch. You'll then enjoy a couple of nights in Memphis, with time to visit Graceland and sample a few live music venues on Beale Street. 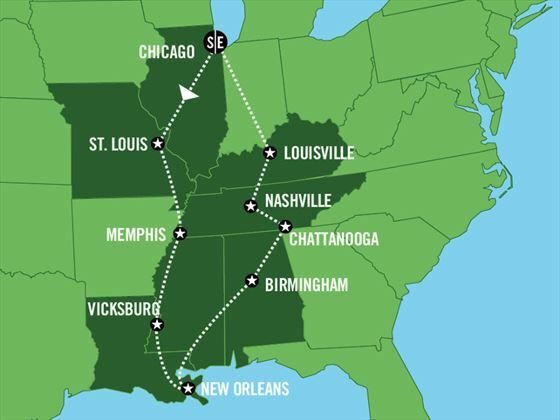 Then it's onto historic Vicksburg, an important part of the Civil War, and then onto the birthplace of Jazz - New Orleans. After a night each in Birmingham Alabama and Chattanooga Tennessee, you'll then stop off at the home of Country Music - Nashville. Your final stop will be Louisville Kentucky, where you can sample Bourbon and Blue Grass music. Search out the original Whistle Stop Cafe, the setting for the novel "Fried Green Tomatoes"
Arrive in Chicago and pick up your rental car at the airport and proceed to your hotel. Enjoy your evening at leisure. 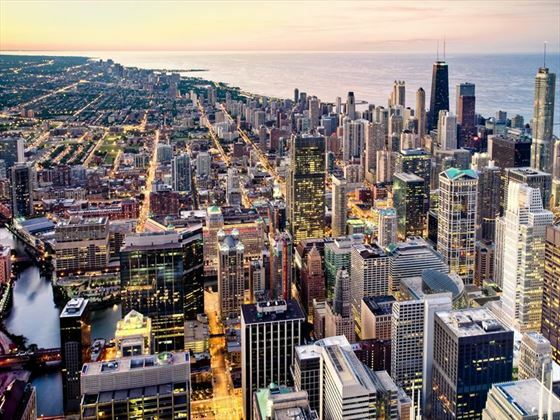 While exploring this vibrant city located on the shores of Lake Michigan, you will notice many famous landmarks and buildings from films such as My Big Fat Greek Wedding, While You Were Sleeping, and The Road to Perdition, not to mention The Blues Brothers film. Try and locate the Blues Brothers Soul Food restaurant on Maxwell Street, and don’t forget to pay a visit to the original House of Blues jazz club. Today you will... “Meet Me in St. Louis” - Upon arrival, take a tram ride to the top of the famous St. Louis Arch and get a city view from 630 feet. Then take time to view Lewis & Clark: Great Journey West, a movie produced by the National Geographic Society and viewed on a giant four-story screen at the Gateway Arch River front. 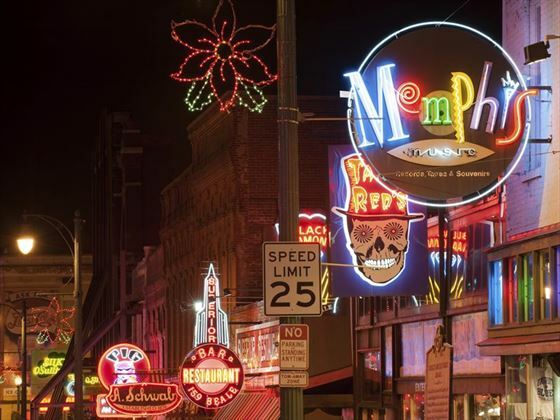 Memphis offers a multitude of musical and movie moments, and there are two nights to explore your favourites. Start with a visit to Graceland, home of the late Elvis Presley, then choose between the Rock & Soul Museum, the Stax Museum of American Soul Music, the Gibson Guitar factory, or Sun Studio where musicians such as B.B. King, Elvis Presley, and Jerry Lee Lewis recorded rock’n’roll hits. 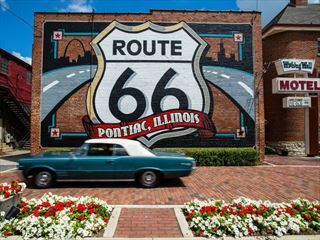 Travel from Memphis to Clarksdale, heart of the Delta Blues. Stop to tour the Delta Blues Museum filled with memorabilia from B.B. King and Muddy Waters. 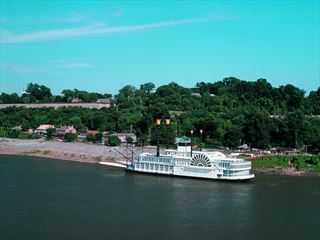 Follow the banks of the Mississippi river along Hwy 1, and take the opportunity to roll the dice in one of many Mississippi casinos; they never close! 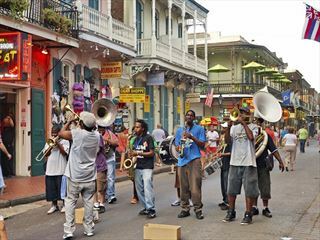 Continue to explore this city of riverboats, jazz, and Creole cuisine. Take time to visit the beautiful Garden Ructer or perhaps take a ride on the mighty Mississippi River. 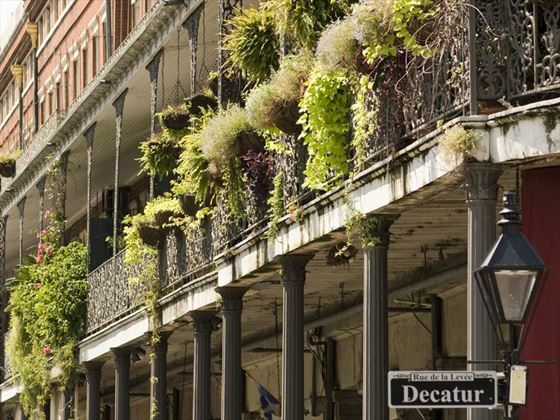 Or take one of the specialist tours - there are ghost and cemetery tours, cocktail and cuisine tours, voodoo and historic tours. Sweet Home Alabama! Today, head for Birmingham, Alabama. For music fans, the highlight would be a visit to the Alabama Jazz Hall of Fame. Entrance to this exhibition is free and inside, you’ll find a wonderful tribute to jazz greats with ties to Alabama. For movie lovers, try and locate the original Whistle Stop Café, the setting for the novel, and later film, Fried Green Tomatoes. Although scenes in the movie were actually filmed in Atlanta, the original café is located in North Irondale, just outside of Birmingham. 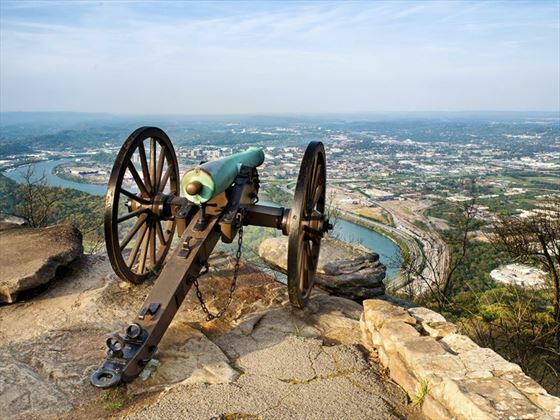 Returning to Tennessee today, set forth to Chattanooga, located in the foothills of the Appalacian Mountains. You could also visit the Tennessee Valley Railroad Museum or the Aquarium. While in Tennessee, don’t miss the opportunity to try a ‘moon pie’, a favourite Southern snack since the early 1900s. 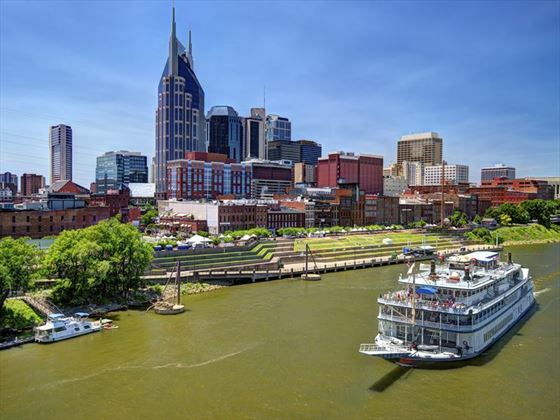 Nashville, ‘Music City USA’ is the destination today. Visit the Country Music Hall of Fame, a multimedia music shrine including live performances, movie theatres, costumes, instruments and other artifacts detailing country music’s colorful history. Don’t miss a visit to the Ryman Auditorium and a night at the Grand Ole Opry. From Blue Grass to Brass Bands, Kentucky has popular music for every listener. 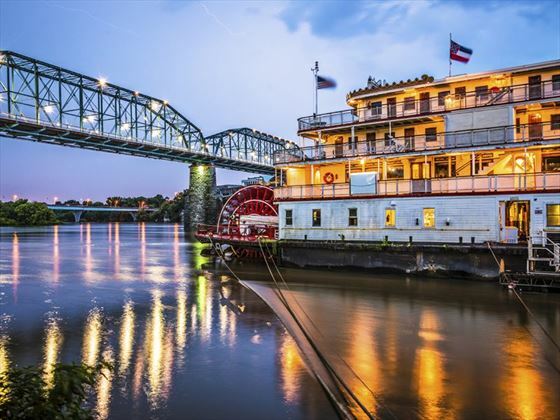 Today’s destination is Louisville, Kentucky, home of the famous Kentucky Derby, which takes place at Churchill Downs the first Saturday each May. Recently featured in the movie Sea Biscuit, Churchill Downs is the mecca of American horse racing and home of the Kentucky Derby Museum. Take a short side trip to Bardstown and visit My Old Kentucky Home State Park, the inspiration for Stephen Foster’s anthem of the same name, which is sung by the crowds every year at the Kentucky Derby. No visit to Kentucky would be complete without a visit to a bourbon distillery, but remember that many Kentucky counties are “dry,” so often there are no tastings. Baseball fans should ensure they fit in a visit to the Louisville Slugger Museum, an interactive museum honoring many of baseball’s greats. Today return to the Windy City, Chicago, having visited seven different states, experienced many popular movie set locations, and heard music ranging from blues to jazz to soul to gospel to country to bluegrass and rock’n’roll.